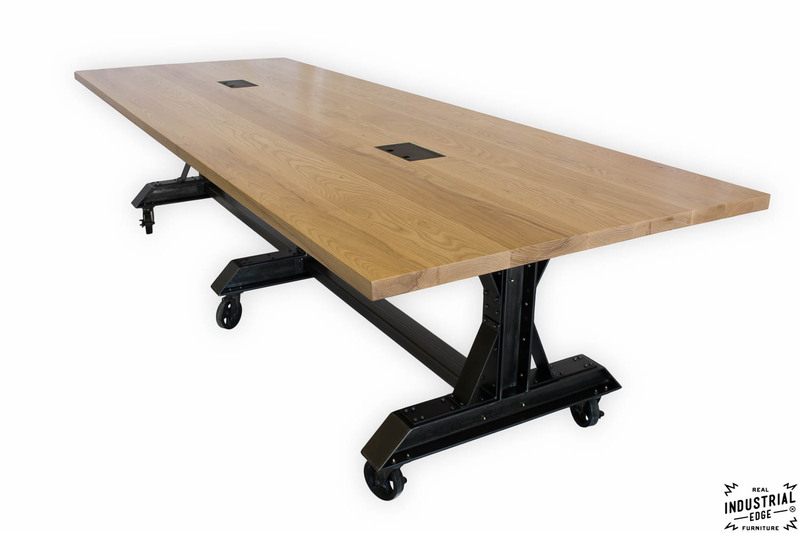 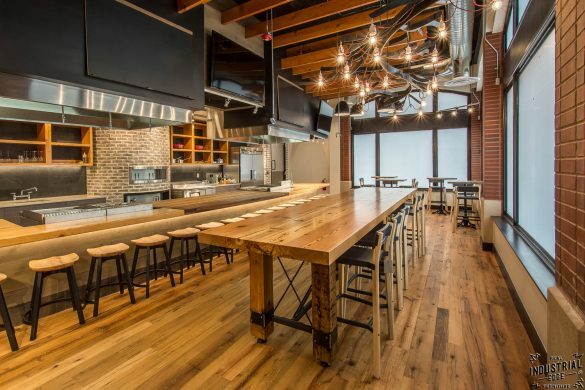 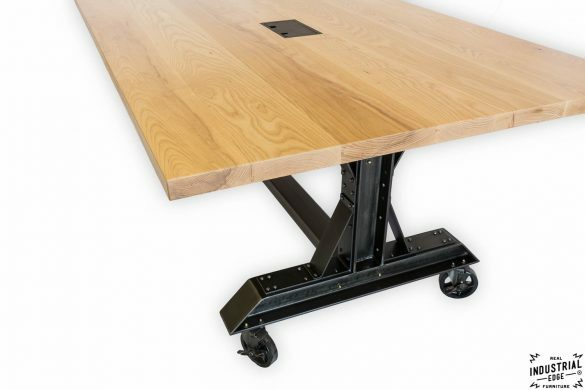 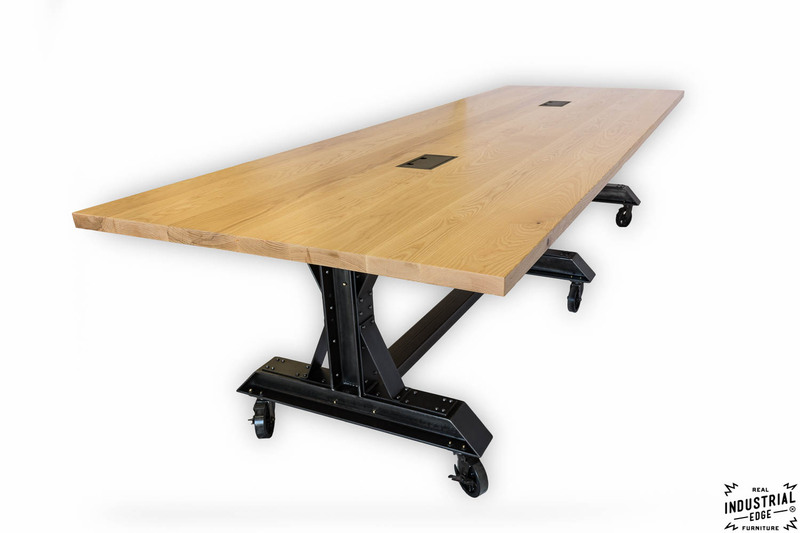 This custom 11′ conference table/ co-working table was part of a complete office build out in an amazing industrial space in Milwaukee. 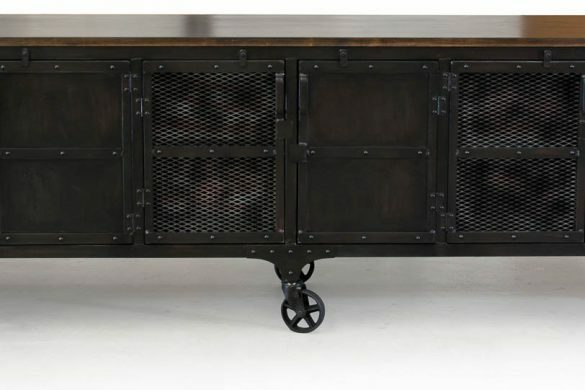 Designed and fabricated by Real Industrial Edge Furniture, the solid 11 foot ash top and custom rolling steel base were built were built to accommodate a six person team. 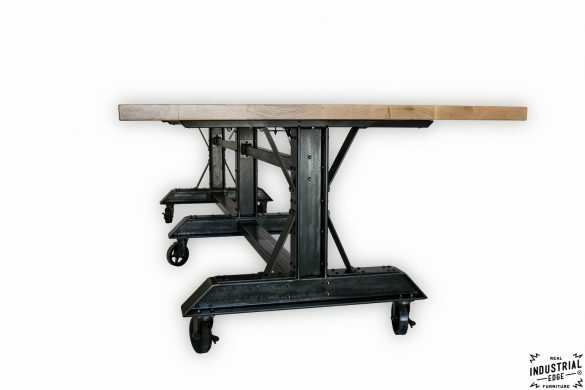 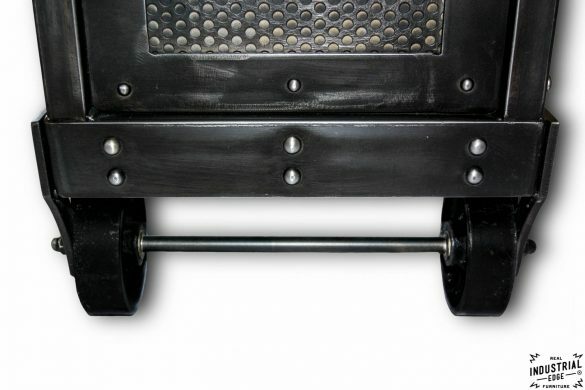 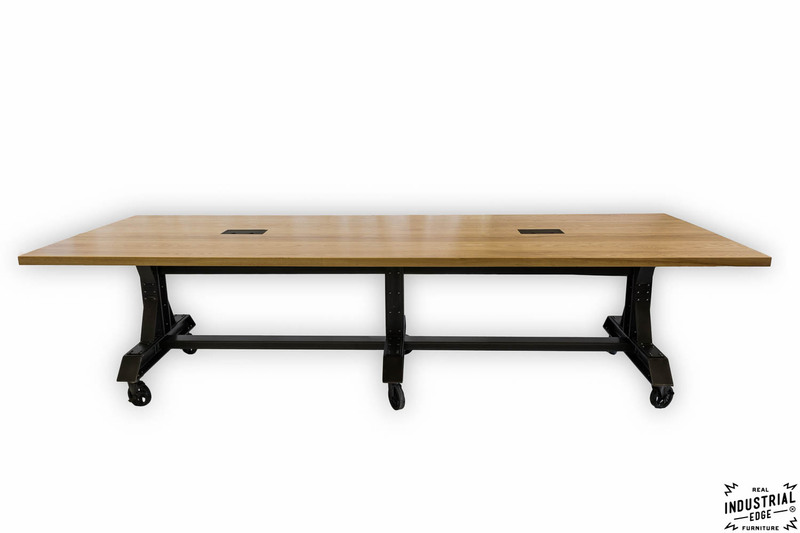 The custom designed bases are hot roll steel & H beams finished with aged brass hardware and 6 locking cast iron casters that complete this extremely sturdy statement piece. 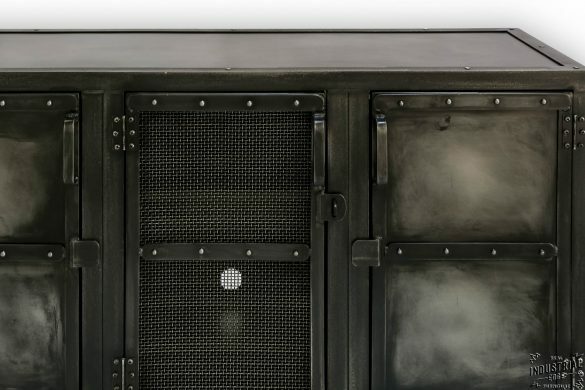 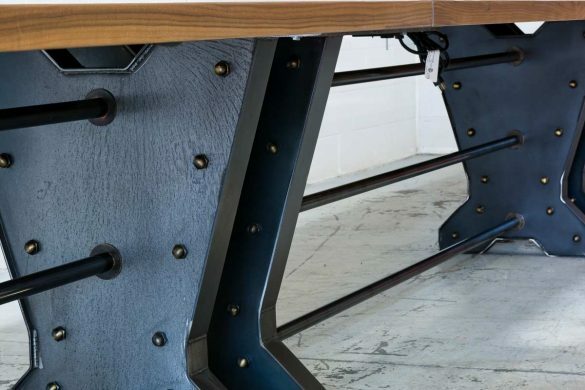 We custom installed two data ports into the wood top for all of their co-working needs. 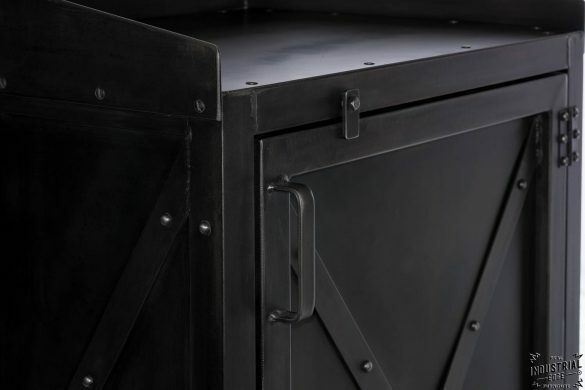 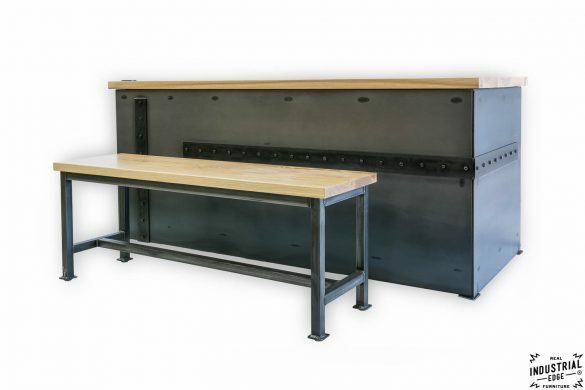 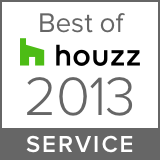 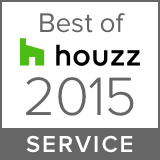 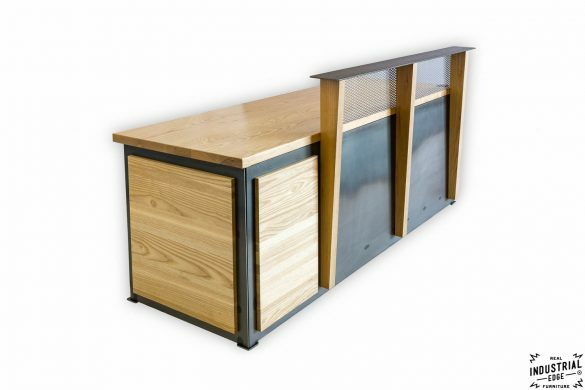 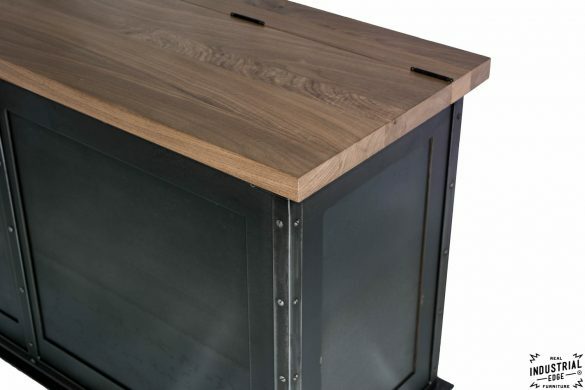 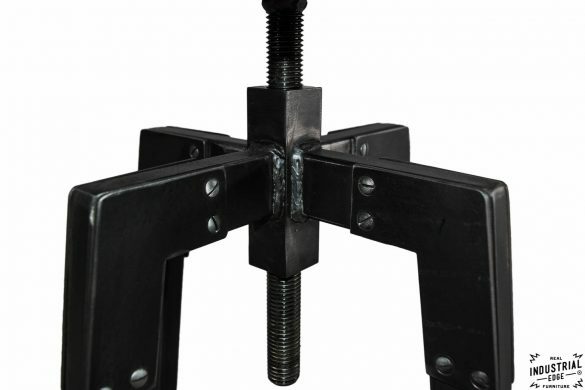 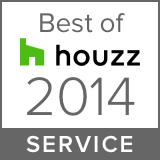 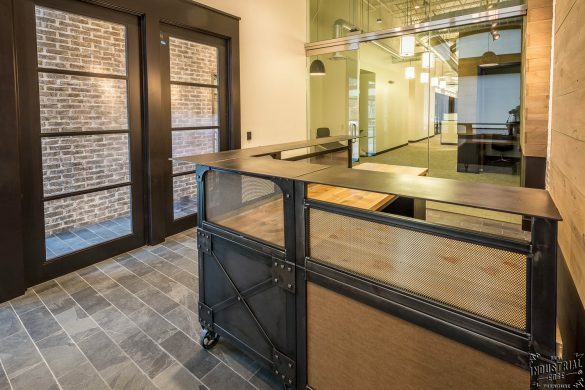 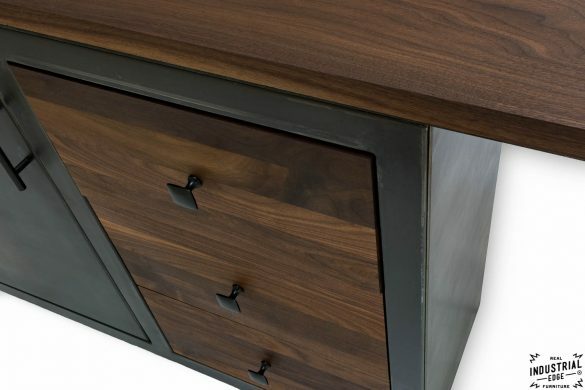 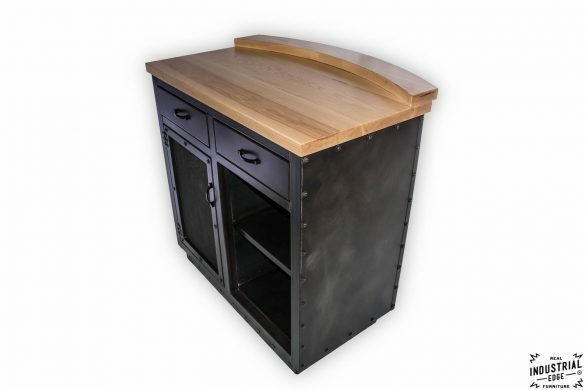 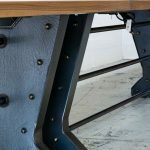 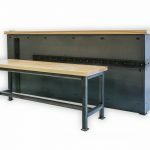 This listing is an example of custom design and fabrication by Real Industrial Edge Furniture.